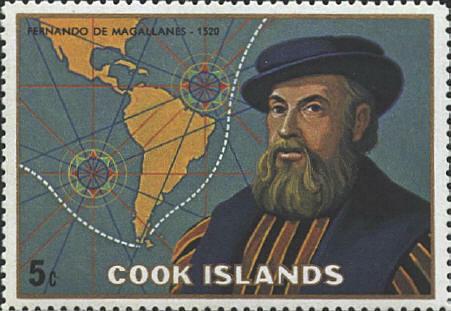 The map has a white dotted line which is intended to indicate the course of Magellan's voyage around South America. However, the course that is traced fails to indicate stops made at Rio de Janeiro from December 13 to December 26, 1519, the Rio Plata on January 10, and the port of St. Julian where they wintered and refitted from March 31 until August 24, 1520. Although they should be indicated on the map, they are not strictly "map" errors.